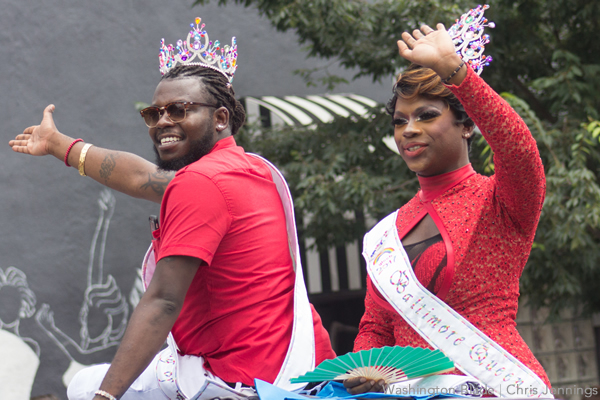 King Legacy and Queen Dee, the 2017 Baltimore King and Queen of Pride, will be on hand as the pageants for the 2018 titles will be held on Aug. 5 at the Nest bar of the Baltimore Eagle, 2022 N. Charles St. in Baltimore. Doors will open at 2:30 p.m. with the contests beginning at 3 p.m. A $10 donation is requested with proceeds benefitting Baltimore Pride and the GLBT Community Center of Baltimore. Co-producers Rik Newton-Treadway and Ganivah Cache say there will be five contestants for each title competing in three categories: Pride Wear, Interview and Solo Talent. Shawnna Alexander and David Allen will be the emcees. ASL interpretation will be provided by Debbie Jones. For more information and applications, visit Facebook.